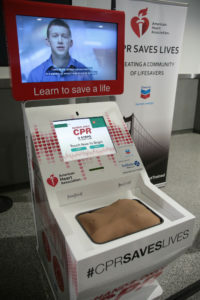 The American Heart Association, a voluntary health organization devoted to fighting cardiovascular disease, has unveiled two Hands-Only CPR training kiosks at Oakland International Airport, California, during National Cardiopulmonary Resuscitation (CPR) and Automated External Defibrillator (AED) Awareness Week. 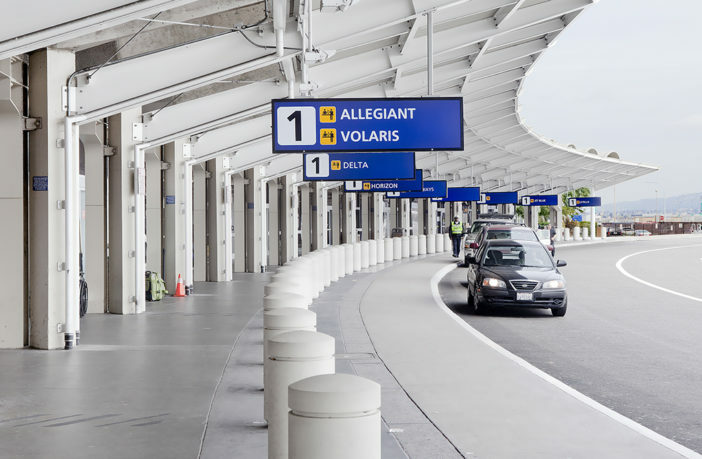 Located at gates 8 and 27 in terminals 1 and 2 respectively, the kiosks provide travelers with vital five-minute Hands-Only CPR training sessions while they wait for their flights. Each year in the USA, more than 350,000 cardiac arrests occur outside the hospital, and about 20% occur in public places such as airports. CPR, especially if performed immediately, can double or even triple a cardiac arrest victim’s chance of survival. Yet less than half of out-of-hospital cardiac arrest victims receive CPR from a bystander. Hands-Only CPR has two easy steps. First of all, when you see a teen or adult suddenly collapse, call 911. Then, push hard and fast in the center of the chest at a rate of 100 to 120 beats per minute until help arrives. Each kiosk has a touchscreen with a short video that provides an overview of Hands-Only CPR, followed by a practice session and a 30-second test. With the help of a practice manikin, or a rubber torso, the kiosk gives feedback about the depth and rate of compressions, as well as proper hand placement – factors that influence the effectiveness of CPR. Kiosk visitors can select to do the training in English or Spanish. The training also has closed captioning to make the instruction available to everyone.